The Under Armour hydration bottle line from Thermos was built with the active athlete in mind. The insulated bottles feature Thermos vacuum insulated technology for ultimate performance. All lids are interchangeable across all bodies and we've included innovative features to make proper hydration easier than ever. Interchangeable lid system options include the screw top, quick shot, straw top and the flip top lid. Interchangeable bottle material options include the squeeze, tritan and vacuum insulated stainless steel. These options allow athletes to have a personal, meaningful connection to their "gear". 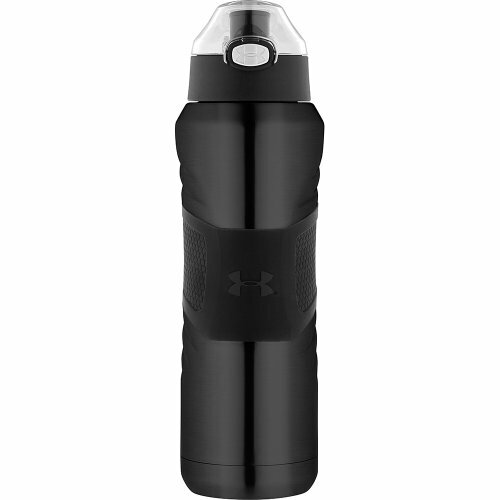 The cool aesthetic and sleek design of Under Armour branded Thermos hydration bottles will encourage athletes to carry reusable bottles and reduce their impact on the environment.